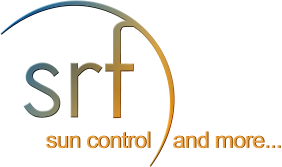 SRF Will work with you! As complex as your job is, wouldn’t it be nice to find something simple for a change? I don’t mean simple in it’s construction or function. Rather, simple in that it goes with everything and benefits all who have it! No matter the style, the color, the size, the age, or the budget of the particular home. And, wouldn’t it be nice to find out that this amazing something also pays for itself. And, not only pays for itself, but it pays dividends as well! Vista Premium Window Film is that product! – Vista is neutral in color and very light in appearance. Virtually invisible! – Vista reduces energy costs by reducing heat gain. -Vista lasts so long, that it will still be protecting long after it has paid for itself. Not to mention that the value of the items it protects is far greater than it’s own cost. Vista Premium Window film is fully warranted, easily maintained, and will not bust the budget.